Melva Jean “Jeanie” DeSha Chandler, 78, of Chattanooga, went home to be with her Lord and Savior on August 26, 2018. 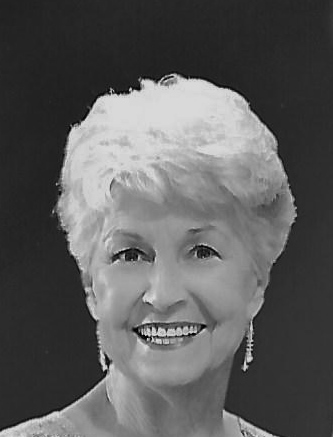 She was a loving wife, mother, grandmother and great-grandmother, a life-long friend to many and a gifted musician. She leaves behind a legacy of family and friendship -- to know Jeanie was to love her, to be her friend was to be blessed, to be her child or grandchild was to be loved deeply and unconditionally. Her love for her Lord was undeniable and she used her gifts and talents for His honor and glory. She graduated from Kirkman High School in 1958 and married Joseph “Nathan” Chandler, the love of her life, the same year. Together, they raised three children and offered a home to a fourth. Jeanie and her husband served as missionaries in both Texas and Honduras, Central America. She was a member of Hickory Valley Baptist Church where she served as church organist and sang in the sanctuary choir. She was employed at TVA and AMG International. Mrs. Chandler was preceded in death by her father, Clyde P. DeSha, mother and step-father, Kathleen DeSha Rich and Rev. Frank Rich, all of Chattanooga and a number of aunts, uncles and cousins. Jeanie leaves behind her loving husband of 60 years, Rev. Nathan Chandler; daughter, Lisa Turner and husband, Scott of Tuscola, TX; two sons, Nathan Eric Chandler and wife, Penny of Brownfield, TX and Jason DeSha Chandler and wife, Lori of Clinton, TN; foster son, Aaron Webb and wife, Deirdre of Boulder, CO; two sisters, Carol Dunn and husband, Don of Chattanooga and Linda Meade and husband, Gordon of Jacksonville, FL; three step-sisters, Barbara Sedman, Virginia Molnar and husband, Pete, and Jimmie Shockley, sister-in-law, Rosie Chandler; grandchildren, Ashley Quick and husband, Joe, and Matthew Turner of Tuscola, TX; Natalie, Joseph and Katharine Chandler of Brownfield, TX; Avery, Bonnie, Isaac, Wesley, Gideon, Soloman, Ivy, Fern, Willow and Ephraim Chandler of Clinton, TN, Drake and Giselle Brodeur and Grace Webb of Boulder, CO; one great-grandchild, Addilyn Jean of Tuscola, and many cousins, nieces and nephews. Funeral services will be held Saturday, September 1, 2018 at 11 am at Hickory Valley Baptist Church with Rev. David Kemp officiating. Burial will be at the Chattanooga National Cemetery. Pallbearers will be Mitchell Reaves, Josh Reaves, Michael Reaves, Mark Mullins, Joe Quick and Matthew Turner. You may visit www.heritagechattanooga.com to share your thoughts and condolences to the family. The family will receive friends Friday, August 31 from 4:00 – 7:00 p.m. at Heritage Funeral Home, 7454 E. Brainerd Road. Chattanooga.